Sheffield Live TV has become the latest local TV station to announce its launch date, after receiving the the necessary paperwork from Ofcom to launch on Freeview and YouView channel 8 this autumn. 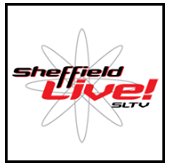 Sheffield Live has confirmed it will launch on Tuesday 23rd September 2014. Last week, the station revealed a showcase of content for the forthcoming service, available to view on its website. In its newly granted Ofcom licence, issued by Ofcom on the 7th August 2014, Sheffield Live TV has committed to providing 100% locally produced content from 6pm to 10:30pm and 30 minutes of news on top of 6x5 minutes of news throughout the rest of the day. The service will launch from the city's main Freeview transmitter on Tapton Hill. Local TV Multiplex operator Comux was recently given the go-ahead to operate local TV in Sheffield via a second transmitter at Grenoside, which aims to capture viewers who have their aerials facing the main regional transmitter site at Emley Moor on top of those who use Tapton Hill for their TV services. The two transmitters are estimated to serve a total of 155,000 households. Sheffield Live TV is locally owned and run for community benefit. People and businesses from Sheffield have a few days left to become “community shareholders” through the Sheffield Community Media Ltd Pioneer and Community Share Offer, open until 14 August 2014.